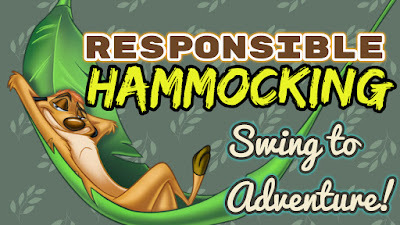 Reduce your camping footprint, and swing into your next adventure! Hammocks are prime examples of a minimum-impact shelter. They require no ground leveling, trenching or staking. When used with a tree-friendly suspension system, hammocks don’t alter the natural environment. And the smaller your camping footprint, the less likely you are to impact plants or wildlife. 1: Use “tree saver” straps. These wide nylon/polyester webbing straps go around the tree to minimize girdling and damage to the bark and cambium layer, which can cause wood-tissue death. Never use anything made from a non-tree-friendly material, such as plastic zip cords. Never hammer or screw anything into trees. 2: Set up hammock camp at least 200 feet from any water source. These riparian areas provide unique plant habitats and communities and are significant in soil stabilization. 4: Don’t hang your hammock from dead trees. You could injure yourself and alter the area around you if the tree were to fall or break. Even if your chosen trees look alive, check above you for dead branches and/or fruit that could fall. 5: Check with local land managers to ensure that the area allows hammocks. 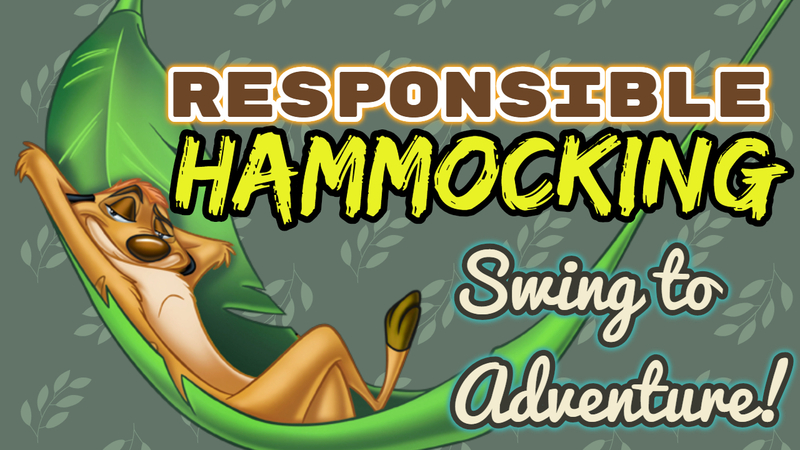 6: When you find 2 perfect hammocking trees (thick trunks, alive, little or no ground cover between them), carefully check for sensitive plant life (especially vital at higher elevations), wildlife habitat and hazards such as insect nests or poisonous plants. Avoid stepping on roots and lichen, and minimize transporting non-native species by cleaning shoes between trips. 7: Hang your hammock so it's no more than 18” off the ground to prevent accidents and to avoid damage to higher branches and leaves. Use the thickest part of the tree trunk and avoid trees that bend or are found in wet areas (wet soils are more susceptible to impact than dry ground). 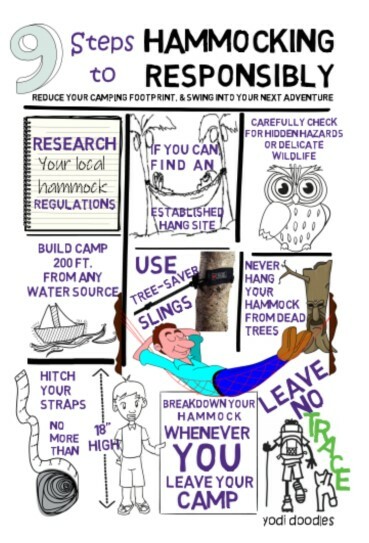 8: Take down your hammock whenever you leave your campsite. This prevents animals or small children from getting tangled up in it. 9: When your trip is ending, pack everything up and inspect your campsite and surrounding area for anything left behind. Be sure all trash is packed up and taken with you. Leave the spot just the way you found it.